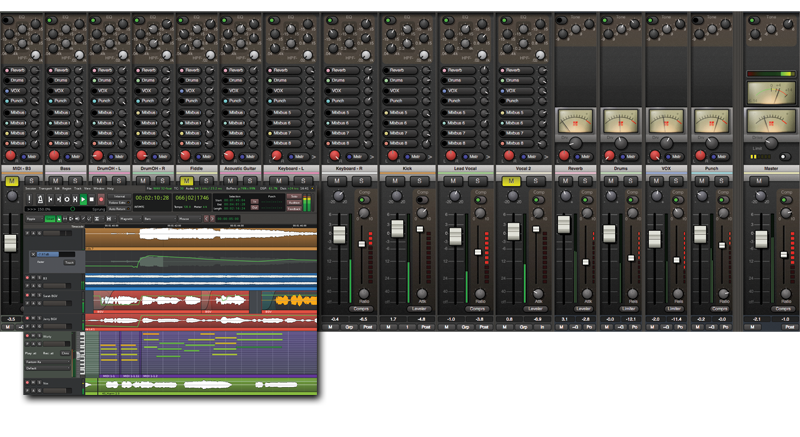 The Harrison Consoles team has updated its website for the launching of the 3rd version of the Mixbus DAW for Mac OS X, Windows and Linux. Mixbus 3 follows the 4th version of Ardour, both teams are now working together along with the open-source community of users. Mixbus is based on the Ardour platform and therefore includes the new features recently introduced in the latter (MIDI tracks, virtual instruments, multi-core DSP, 64-bit processing and more). The DAW supports for an unlimited number of tracks and allows for loading up to 8 VST, AU and LV2 effect plug-ins. Each mixer channel strip includes a compressor and 3-band EQ, the master bus adds a limiter and level meter. 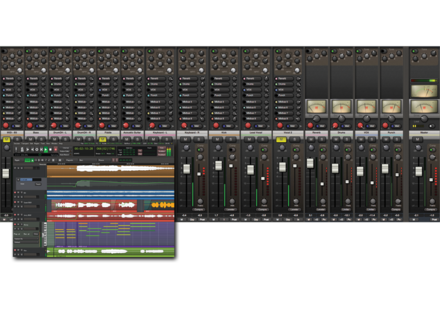 The other big news is the new price of Mixbus, which is now $79 instead of $219 previously. Owners of version 2 are invited to check their mailbox in order to upgrade to Mixbus 3 for $40. Subscribers will also receive the upgrade for free today and will also receive the new XT-LC Lookahead Compressor plug-in as a gift. Here’s the first video of this new Mixbus 3, full details are online at harrisonconsoles.com. MeldaProduction MDrumEnhancer MeldaProduction has released update v9.05 for all their plug-ins as well as the new MDrumEnhancer plug-in.